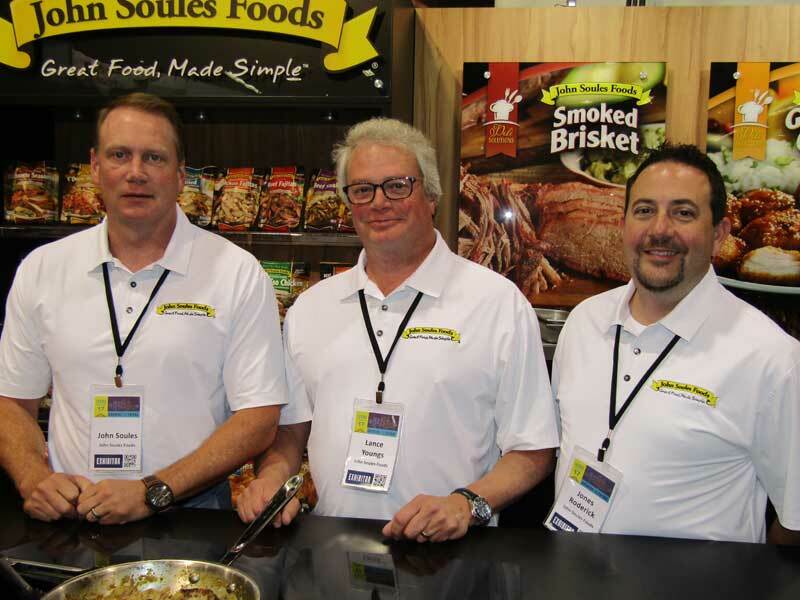 John Soules, Lance Youngs and Jones Roderik, John Soules Foods. John Soules Foods has expanded its fully-cooked lines with several new items. 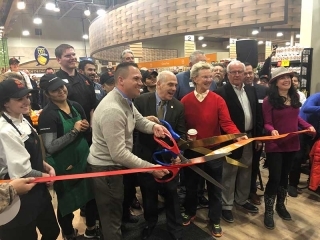 Added to the company’s mainstay retail items, like its best-selling beef and chicken fajitas, are Oven Roasted Chicken, Sriracha Chicken and Korean-Style Barbecue Beef varieties. 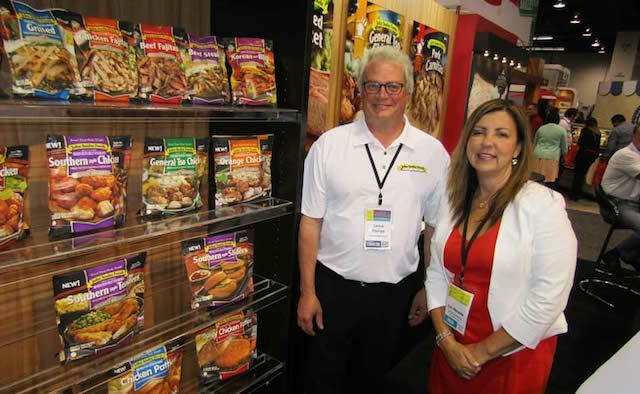 Tyler, Texas-based John Soules also debuted breaded poultry items at the International Dairy Deli Bake, held June 4-6 in Anaheim, California. Varieties include Glazed, Barbecue, Buffalo, General Tso, Orange and Southern Style chicken. Lance Youngs, senior director of research and development, said Southern Style in this case means it has a dill pickle taste to it akin to Chick-fil-A’s flavor profile. All of the new chicken varieties, which are just launching on the West Coast in Vons and Albertsons stores, are available in chunks and strips. “In August, we’re hitting 900 Walmarts to really start the nationwide distribution of the items,” Youngs told The Shelby Report. The new chicken products are designed to stay frozen until use and come in 20- to 26-oz. resealable packages. Lance Youngs, John Soules Foods; Jan Meade, The Shelby Report.